You may remember Cassidy and Wyatt from their gorgeous engagement session. These two had the most low key day, despite changing plans last minute due to arrangements with their venue, it couldn’t have been more scenic. 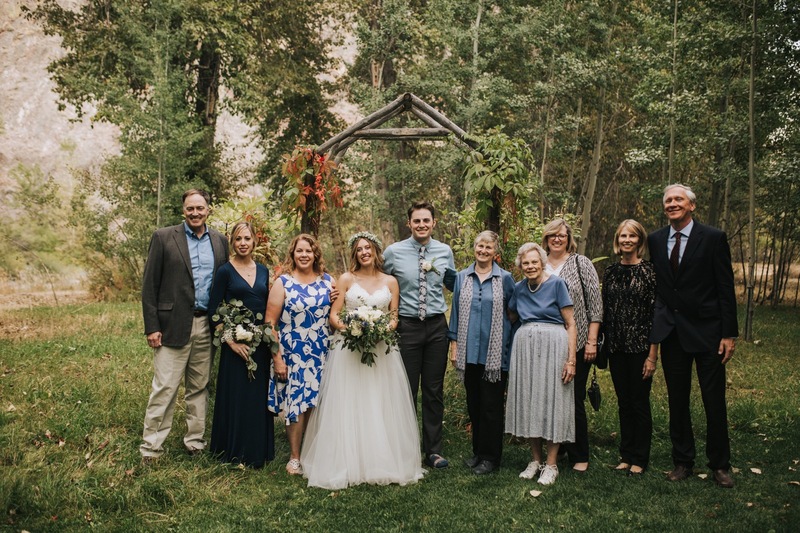 Up in Sun Valley at the base of the Sawtooth’s, the weather was crisp and clear and yet so warming to see their favorite people in one space all together. It was the first moment Cassidy met her week old niece, family hadn’t seen eachother in years and you can tell how in love Cassidy and Wyatt really are.